The Camden County Board of Freeholders, Gloucester Township, and Gloucester Township Police Department are proud to host Beep Baseball on Saturday, September 29th from 1 PM to 4 PM at Gloucester Township Community Park in Sicklerville. The game starts at 1:30 PM. Do you love baseball? You have not truly enjoyed it until you experience Beep Baseball, a game designed to be plated by athletes who are blind or vision impaired. 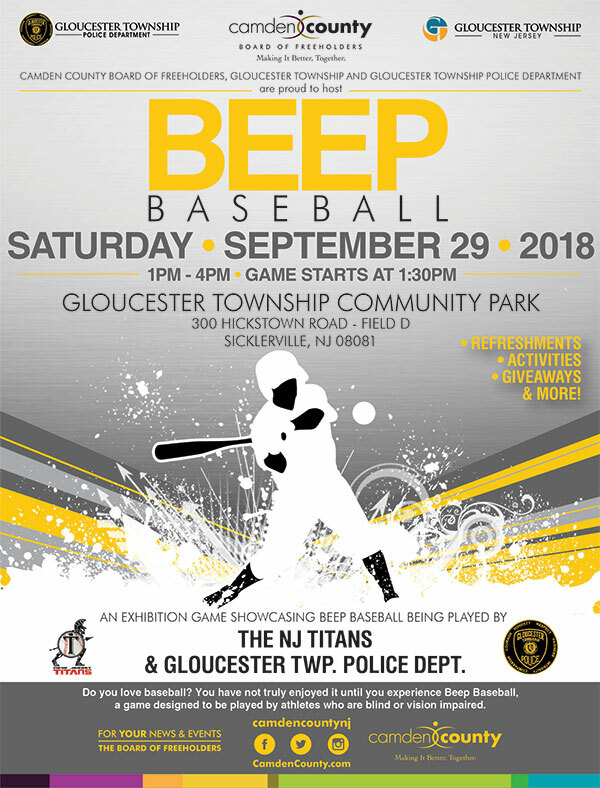 This exhibition game showcasing Beep Baseball will be played by The NJ Titans and the Gloucester Township Police Department. There will be refreshments, activities, giveaways, and more!